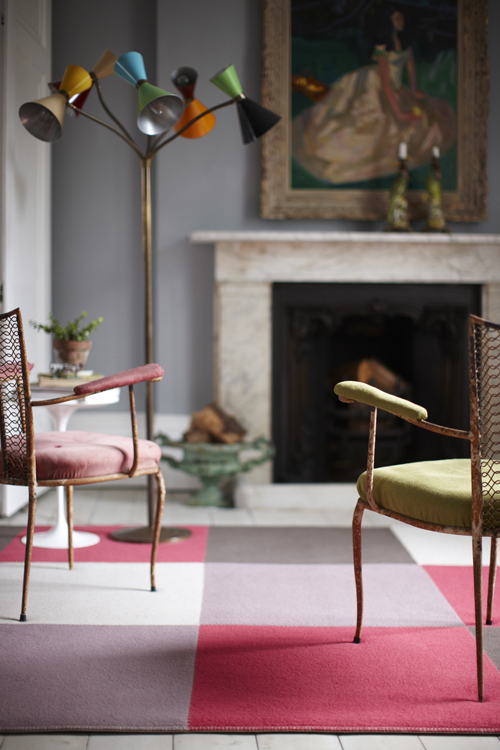 Our Tapis D’Avignon felted wool rugs have been a hit since their introduction over 15 years ago. The Tapis range has always been popular as it is wonderfully flexible, allowing every client to create a sumptuously soft felted rug of their very own. Felting locks in the colour. The felt is warm and soft under-foot. 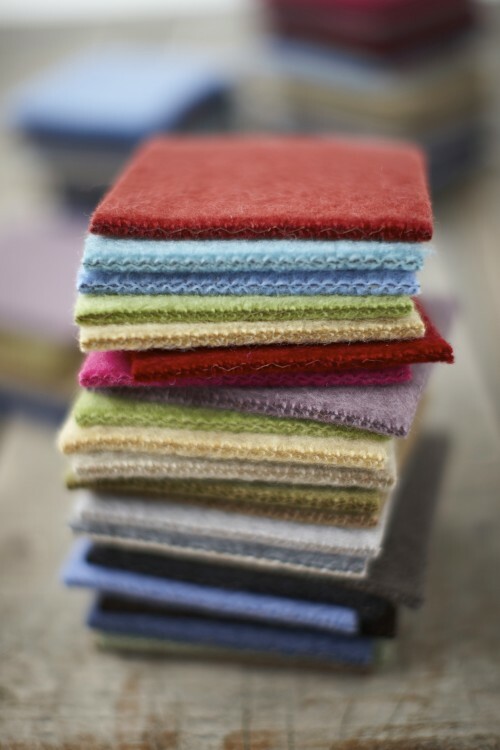 The heavily felted Mouflon wool is available in a wide choice of colours ranging from neutral to vibrant tones. The wool is dyed in yarn form, woven into a cloth and then felted – this locks in the colour and creates a thick, richly coloured felt. 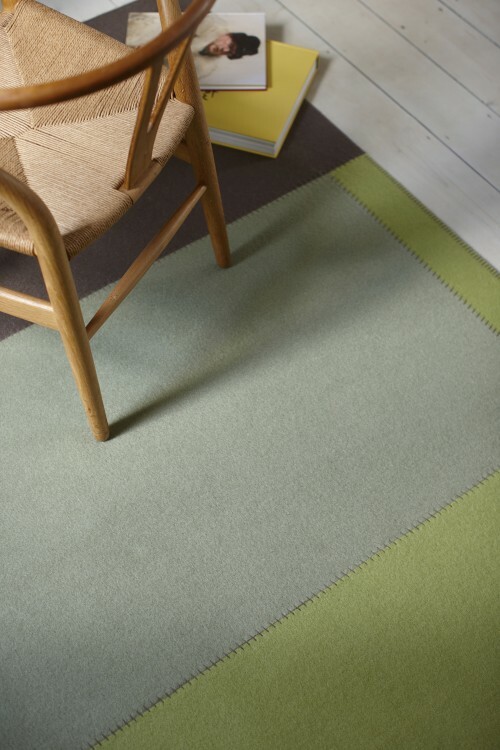 This Tapis rug is based on a standard template using colours Laurel, Green and Brun. We have a selection of geometric shape blocks which we cut the felt into. These blocks are expertly joined and edged in our workshop using a decorative blanket stitch which can contrast or subtly blend with the Tapis colour. This custom design fills the room and has been made using our standard block system. Now there are two ways to own a felted Tapis rug. 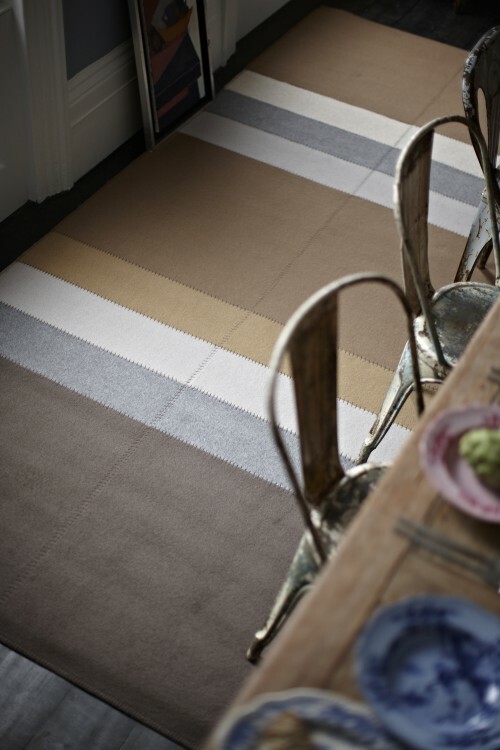 Our bespoke design service allows the creation of a customised rug in almost any size, in any combination of colours. We have a range of templates to choose from, or we can create something completely bespoke for you. Contact us directly to discuss the available options. Launched last year, our Lifestyle store stocks a range of ‘off-the-peg’ Tapis rugs starting at just £149. 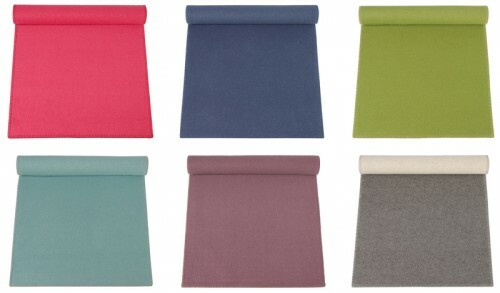 Designed by us in a palette of fresh colours, they are an easy way to add spring colour to any interior. 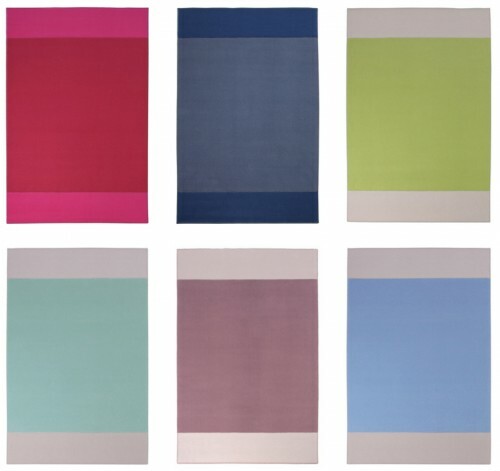 Simple, single colour runners are 70cm x 135cm, £149.00 These Tapis runners have either contrasting or complimentary stitch detail and are perfect for bedrooms, play rooms or in front of the fire. 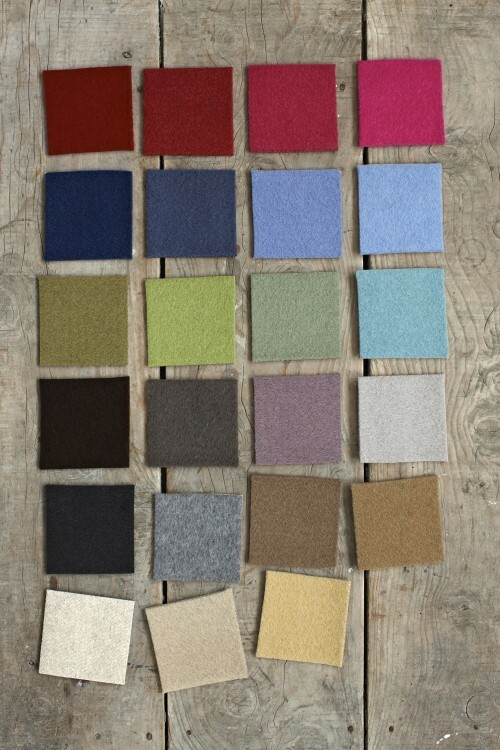 Our large felted rugs are constructed using three Tapis blocks, and are available in six colourways. 140cm x 210cm, £349.00.